"Plan A recently helped me in successfully purchasing my first two Vancouver investment properties. As a first-time investor, I was uncertain of how to find the best investment opportunities with the lowest risk. After meeting with Plan A, I was immediately impressed by their high level of professionalism along with their in-depth knowledge of the local condo market. 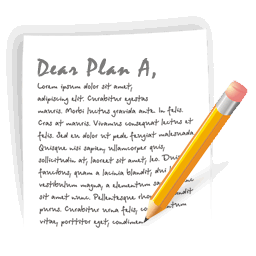 Thanks Plan A, I would fully recommend your services and I look forward to working with you again in the near future!" "I had been thinking of investing in real estate for some time now but never knew quite where to start. Plan A is more than just a real estate agency - they took the time to understand my investment goals and found the right condo for me to buy. They then did the deal, set up the property as a furnished unit and now manage it as well.Its been fully occupied from day one and get my rent on time, every month. I feel reassured knowing I've made a solid investment and don't have to deal with any of the hassles associated with being a landlord. Thank you Plan A!" "We're extremely pleased with the service we're received from Plan A. We live in Toronto and weren't thrilled with the property investment options available to us here. We'd heard that the investment returns were better in Vancouver but we didn't have the specific knowledge or experience to make informed investment decisions. Upon contacting Plan A, they provided us with detailed information on exactly what types of properties would produce the best investment returns. Not only were they able to recommend which properties to purchase, they were also able to offer the property management services which would allow us to deal with a single company for all aspects of our condo investments. Our questions and concerns are always addressed promptly and professionally. We've purchased 3 condos so far and we're not done yet"